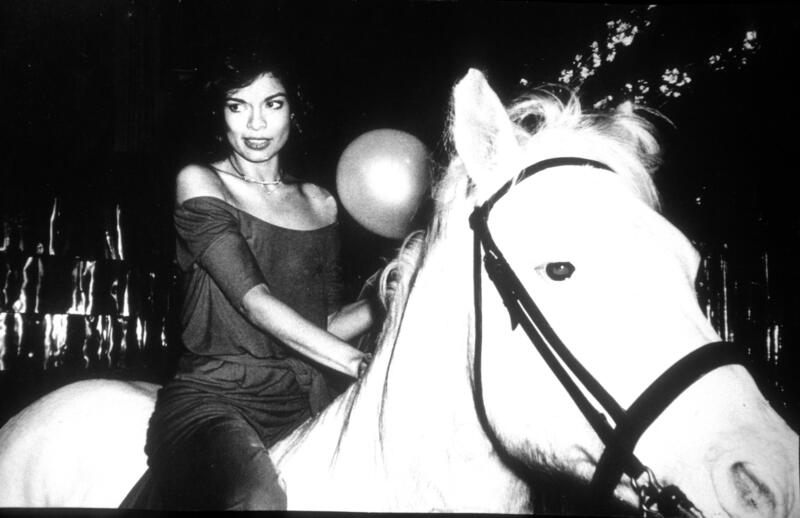 You know that picture of Bianca Jagger on a white horse trotting into Studio 54 for her little 70s birthday soiree? Today I spent the better part of the afternoon talking to its creator, New York nightlife and fashion photographer Rose Hartman, all about it. Rose is gifting her entire archives to Special Collections, and as part of my internship with SPARC I’ve been entrusted to make sure that this phenomenal woman’s life’s work is preserved and available for research. I also get the amazing opportunity to create an oral history with Rose. Over the next few months I’ll be going through photos with her while a tape recorder grabs her every word about what it was like to be backstage at Halston, on the dance floor feet from Andy Warhol, and in the atelier with Betsy Johnson. The oral history and Rose’s photographs will be part of an exhibition on the FIT campus that I will also be involved in planning. I’m thrilled to be entrusted with such a dynamic project as such a novice. It’s an incredible opportunity for learning a myriad of collections management, organization, and exhibit skills. On a side (but significant) note, Rose’s photo was a background on my phone the day I sat down to interview with Karen and my dad used to run drinks at Studio 54–I think this project was mine even before it existed! This entry was posted in Uncategorized and tagged Andy Warhol, Betsy Johnson, Bianca Jagger, FIT archives, Rose Hartman, Special Collections, Studio 54. Bookmark the permalink. sounds like a perfect thesis topic to me! can’t wait to hear more about her! on a retrospective of my work on campus.